You may assume that buying a brand new home is a way to avoid the problems sometimes found in a previously owned home – but that’s not always the case. Builders can cut corners and create issues anyway. Add in that construction of any kind can both take longer and cost more than expected. Negotiating when buying the home from the persons building it rather than someone who has owned it is very different. So how do you navigate this perhaps less familiar territory and still end up very happy with your new construction home? AHRN.com has got your back with the key elements to cover! From the beginning, purchasing a brand new home is an entirely difference experience. Finding a realtor who specializes in new construction means you have a guide through the incredible array of options and decisions. You’re likely to meet the building company’s real estate agent when you first inquire into model homes. They will be so friendly and excited you might be tempted to utilize their services. Resist that impulse and get yourself an agent who will serve your interests alone, collecting info on your behalf, advising and representing you. When touring model homes, remember they are of course presented with all the bells and whistles so you will fall in love with it. Yours would likely have to be upgraded to be like that — and it can be costly. Also, the features you see in it might be a mix of styles they don’t normally package together. Finishers like appliances, landscaping, deck/patios, etc may not come with the completed house, so figure those into the purchase price. Have your agent procure an itemized list of common features and upgrades and their costs. Bottom line – you will need to be clear as well as make clear exactly what you’ll be getting and what it will cost. Prices can change between the time you ask and the time you sign, so check the numbers again before you finally lock in a contract. If you can’t agree on what you want, be prepared to walk away and keep looking for a home that includes what you need. If you absolutely must have an upgrade that’s pricey, find out how much it would cost to have an outside contractor purchase and install it after the close of escrow. You might be able to save quite a bit of money! Do research on any potential builder. Look for reviews, ask your realtor about them, Google for whatever you can find. As with anything, some reviews are great, some not, but focus instead on the overall picture you’re gathering. If you have any concerns, be sure to have that addressed in writing. When buying a home that is not yet complete, you must spell out how the home will be finished, what will happen if construction is not completed on time and the deadlines for decisions that will occur through the process. Get every step in writing and signed by all parties involved. When you negotiate, it’s not so much a bidding banter as bartering. The builder may not shift their price as an owner would – but you can ask for certain upgrades to be included and/or to have them cover some of the closing costs. Again, an agent who knows this kind of sale is going to be invaluable during this part of the process. Ask your agent to get the builder’s warranty info early on in the process and read it very carefully. Incorporate any concerns you have in your offer documents to get those addressed from the get go. And it’s smart to check into getting extra on your own to cover what you builder’s does not. Some builders require that you get pre-approved by the lender they work with, so they can feel assured… It can be a good deal for you, but you will only know that if you also shop for your own lenders and compare. Definitely ask your agent to help you find out what promotions or deals you may get if you do use the builder’s lender. Delays can be expensive and frustrating for you – possibly including hotel costs, storage costs, etc. Your builder or contractors can say that permits or suppliers are holding them up – and that may be. Spell out in the contract what will happen if there are delays as specifically as possible. Definitely have your own, independent inspection with someone who does not have a relationship with the builder. And do that before the home in completed which actually can make it easier to see problems in process – a good thing because your homeowners insurance may not cover it. Have an inspection done in two parts: before construction is completed, so things can be caught and done properly, and after. This also helps to keep the specifics of both the features and schedule agreed upon in your contract on track. If new construction is what you seek, there are unknowns going in. You are going to need to educate yourself. Besides the above, the entire housing development may not yet be built or be in the midst of construction. You may have no idea of who your neighbors will be, the flavor of the area and how it will grow, how traffic may increase, what views you might lose. So do your research, find the sharpest and most knowledgeable agent you can, be careful and methodical in your choices and negotiations, and get it all in writing. Make last checks on prices and details before you sign, protect yourself with mid as well as post-construction inspections, and get the proper warranty coverage. Before you know it, you will be an expert and be able to help friends or family who are considering the same thing! And that might get you invited over to their new home for a BBQ! Rochelle Joseph is a Writer and Image Consultant who has had experience marketing, renting and buying/selling her properties for over 20 years. She has written and edited for several publications, including the Boston Book Review,The Emerson Review, ZooBorns.com, WildLife Magazine, the Houston Zoo, The Wildlife Center of Texas, One Spirit Interfaith Seminary as well as AHRN.com. She currently writes at her great gifts blog at https://lookyhereu.blogspot.com and her animal blog at https://naturegirrrl.blogspot.com. What a terrific article. I can say that I experienced nearly everything mentioned through my home buying and building process. I never had ANY idea how complicated things could get. It was a wild ride! Thank you! The process can certainly be overwhelming if you’re new to it! Absolutely, Jordan! Getting things in writing protects both the buyer and the seller by making sure that expectations are clearly understand all the way around. In a newly constructed home how will the homeowners insurance cover the home and what type of coverage would you get that will be different than that of an older home? I ask this because of an idea that my wife gave me about looking at the newly built homes around her parent’s neighborhood. Some of those homes are what got her interested because of the style that they were built like. Hiring the right contractor is very important in building your dream home. They should be excellent and should work in your budget. When building a home, I think that the most important part is communicating with your builder. This way, both of you can be on the same page so you won’t mess anything up. Another thing you should do, which you did mention, is to get it all in writing. This way you can be sure that if something was done not to your standards or liking, it can be changed without problems. I really appreciate the tips about working with your builder. I didn't realize that you can negotiate price with a builder. We are considering having a dock constructed on our property. I know it's not the same as a home, but I think the tips on dealing with a builder and contractor are fairly similar. I think a contractor would be a very similar process! Thank you for all of the helpful home building tips. Specifically, you talk about how it's important to do research on any potential builder, and I completely agree. You want to ensure whoever you hire is trusted and qualified for the job so that your house ends up being built correctly and with quality. Overall, being careful right from the beginning will ensure that you get the dream home that you've always wanted. Thank you for sharing! Really great advice. It’s so important to make sure you get referrals BEFORE you decide on a builder. So many skip this step and end up regretting their choice in the end. The right contractors may come cheap or expensive. Don’t rely on the price but check their previous projects and reviews. Absolutely, it’s vital to do an a through check! I agree that you should get everything in writing. Otherwise, you could potentially lose the deal on your home. That or you'll lose lots of money. Definitely! It’s worth investing the time and effort to protect yourself. I like your tip to look for reviews for any potential builders. You want your new home to be as sturdy and nice as possible, so you should find the best builder possible (in your budget). Like you said, looking at the overall picture you get from reviews can help determine a good builder, as can asking for references from recent projects. Thanks for the article. I really loved your post as it is quite informative and useful for people who are thinking of buying a new house. I was also planning to buy a new house from quite a long time but nothing was getting finalized. I am sure your article is going to help me out as well. I’m glad you found it useful, Dianaa! Be picky and have lots of options. Seek at least three bids from prospective contractors based on the same specifications, materials and labor needed to complete the project. Homeowners should discuss bids in detail with each contractor and ask questions about variations in pricing. The lowest-priced contractor may not be the best. You have some great advice here for finding a home. Falling for the "model" is something that many people get tricked by. It is also really important to get the entire thing in writing, like you said. Contractors may be expensive but with the quality they make it shouldn’t matter that much as long as they deliver. Budget is always a consideration – but the investment in a good contractor should pay off with improved durability and quality. I am also about to buy a new house and I am little apprehensive about it. Thanks for sharing this informative post I am sure it is going to help me out to buy the best one. A good contractor will take your suggestions in building the perfect home for you. My wife and I are new home buyers and we are trying to figure out what to look for in a good home. I appreciate you pointing out to beware the model home simply because it won’t be built like that. We will be sure to be realistic about it and make sure that we like the design of the home and that it fits our budget. This is so incredibly useful to the buyers of a new home! Often, I feel like there is not enough information out there for a buyer interested in a new home. 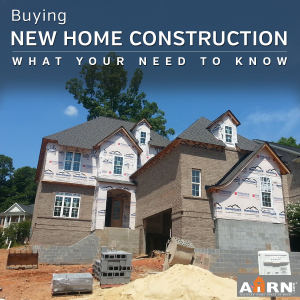 There is a lot that goes into new home construction and you definitely need to be properly informed and aware of all the changes that could arise. Thanks so much for sharing so much information with in depth details and great examples! Your warnings to get it all in writing, have an independent inspector, and understand what will happen in case there are delays are all valid points. These tips could prove very useful for someone creating their ideal home construction. This article is spot-on! It’s so easy to fall in love with the model. Getting everything in writing is key. Find the right people to do your home. Don’t be cheap and go for contractors with good standing performance. Building your home requires the right people, contractor. They should be very good at what they do. There are contractors that will provide a good quality home for you. You just have to be patient in looking for them. Definitely get things in writing! Great tip. My husband and I are looking at purchasing a brand new home. As you said, I think it will be important for us to have a realtor to help us through this new experience. Working with and researching potential builders is super important in making the process an enjoyable journey. We will make sure to keep all these tips in mind. Thanks for sharing! I also preferred that written document because proper documentation is the only thing which will protect us for bad dealing. I agree, delays could be pretty expensive or frustrating for people. I remember talking to my friend when she was in the middle of building her home, I think she had some of those issues. I’m hoping that I’ll be able to find a contractor soon, that way we can start planning to build. My husband and I finally decided to go ahead and actually buy our home instead of building one, so it was great to get a peek into what the beginning of the process is like! I love what you said about preparing for and deciding on most everything before meeting with your designer so that they know specifically what you want your house to look like. A good contractor will take your suggestions in building the perfect home for you.Always check for past works of your contractors to see if they are good. You will see the quality and will make better decision. Always contact and hire the best renovation contractors for your home to assure quality service. I read your blog and it is very informative for me specially. Actually, I am going to construct a new house which I want to gift my daughter in her wedding. These tips will really help me a lot. Thanks for sharing such great posts. Thanks for the tip to have an agent that knows what kind of sale you have when meeting with a builder for negotiation. I could imagine that working with residential community builders could be pretty important as well. My wife and I decided that we would like to start looking for a new home, so we’ll have to remember finding the right agent before moving forward. There really is a lot of research that you have to do when choosing to buy a new construction home. As the article points out, you likely won’t know anything about the neighborhood or who your neighbors will be if everything is still under construction. Because of this you may have to put a little faith in the contractors that they will make sure your neighborhood looks nice. Thanks for your comment about how you should try and get to know your contractor so that you can be sure that positive reviews are true and that you can discuss what your expectations are. I like how you said that you should be sure to get a contract and insurance so that everything is done legally and safely. My husband and I are looking for home construction that is safe and reliable as we begin to plan moving out of our house. My husband and I are planning a home construction soon and we are wondering how to work with the builder we end up hiring. So I appreciate your tip to make sure that everything (from if delays happen to how an inspection might be performed) is written in the contract. We will definitely have to make sure that everything is written in a contract before we end up hiring a home construction service. I do agree that purchasing a brand new home is quite a unique experience which is why having a guide would be significantly helpful. That said, I would be sure to find the best real estate agent and contractor to help me with my new home project. Being able to find or build my perfect home will be a dream come true. Thanks! Thanks for the article. These are the things we should know when buying new home. A good friend of mine called me the other day to ask how to search for a new home builder. She was interested in getting some insights since her family is not sure if this is the right move for them. I will let her know that she should get it all in writing. Very true things written on the blog!! All of these things happened to me. Last year, I purchased a beautiful house but I had to face a lot of difficulties. This happened because no paperwork was done. But I sorted it out by doing everything legally i.e., on paper/documents. I like what you said about working with the builder. I think that it’s important to make sure that everything is addressed in writing with most things, so I think that it wouldn’t be a problem for us to have this be something to require. I think that this will help us make sure that we don’t have any miscommunications. Very informative blog!!! Thanks for sharing this blog. I really enjoy reading this blog. I should look for reviews on builders like you suggest. I want a new build home because of the customizability. You have to be able to trust your contractor though. I agree that we should find an expert in picking newly constructed homes of our choice where we’ll benefit the most, specifically realtors because of their extensive background in choosing good quality constructed homes that fits your taste and budget. It makes sense because they are the ones who are exposed to the field of real estate and will likely give you better choices without making too much effort in figuring them out yourselves. I’ll keep this in mind the moment that I’m able to save up to buy a new home for myself. This is some really good information about the home building. My parents have been thinking about building a new home. I liked that you pointed out that it would be smart to get everything down in writing before starting the project. That does seem like a great way for them to be on the same page as the contractor. To be honest, I searched in several places regarding buying a new home and I think my hunts ends here. This post explains some vital thing regarding this topic which I was looking for. Thanks for this lovely post! Will keep visiting in future to keep myself updated with latest things…!!! My sister is thinking about getting a new construction service. She wants to look into getting a contractor to start working on a new home. It might be helpful for her to know that checking the reviews of this person might make them easier to pick. Thank you for pointing out that you should make sure and do research on your builder. My husband and I are wanting to find the best contractor to help us build our dream home. I’ll have to do some research and find the best home contractor in the area. Great tips on what you need to know when buying a new home. Cheers! A good contractor will take your suggestions in building the perfect home for you. Always check for past works of your contractors to see if they are good. You will see the quality and will make better decision when doing certain decoration. You might hit important parts in the house.